Quick, what class do you play in Star Wars: The Old Republic? What faction? If it took you a moment to answer, you could probably do with one of Jinx's new line of SWTOR-inspired chest coverings. So one of the guys I know at Jinx emails me the other day and asks me if I play Star Wars: The Old Republic. I casually answer that I have an account and would love to be more active, but haven't really had the time to play lately. Then I go about my business. Maybe I scratched myself; I don't know, that happens a lot. And then today, bam! 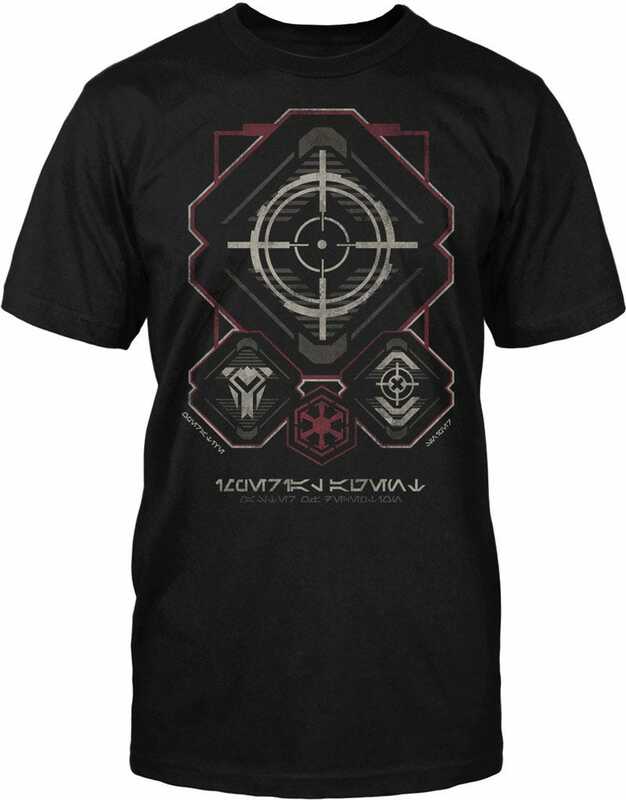 — licensed SWTOR gear, featuring the classes and factions of BioWare's massively multiplayer online role-playing game. You know what these would be great for? A Star Wars: The Old Republic live-action role-playing game. Players could just put a felt circle over the advance class they choose, and then do whatever it is LARPers do these days, like scaring the normal folks at Denny's.